Artefact Description Victorian. Good condition. Old gold. Stone is black and amber in colour. 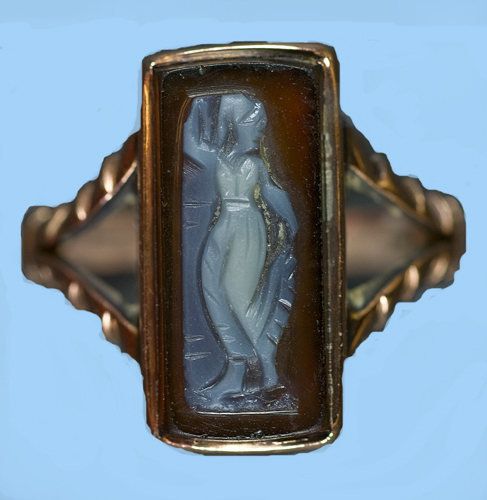 Image of woman dancing on the stone - classical pose, holding up one hand behind her head with the other holding her skirt.